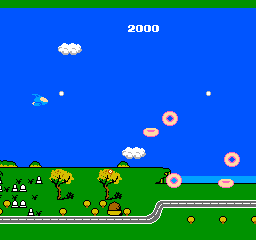 OverviewStinger is a shoot-em-up developed by Konami. 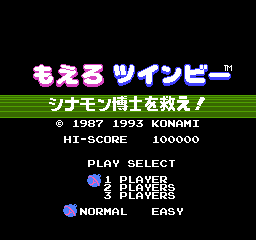 It is the North American version of the sequel to Twinbee. Now you can add videos, screenshots, or other images (cover scans, disc scans, etc.) for Moero TwinBee - Cinnamon Hakase wo Sukue! (Japan) to Emuparadise. Do it now!